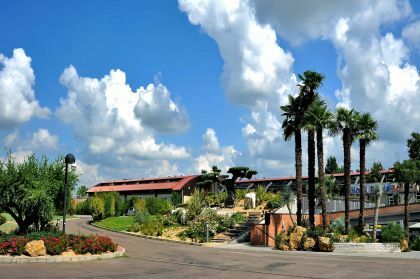 Relais Bellaria Hotel & Congressi is a 4-star hotel with low environmental impact. 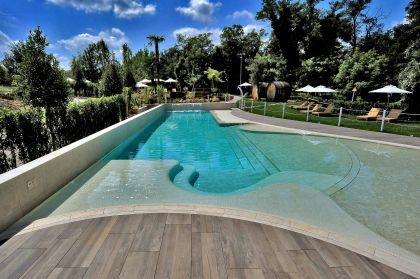 It has an outdoor pool and a spacious free car park with video surveillance. 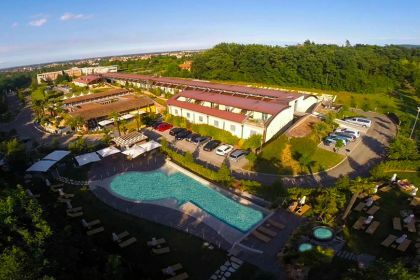 Surrounded by lush greenery, it stands at the foot of the hills between Bologna and San Lazzaro di Savena, in a prime location within a natural park that covers over 4,000 m². 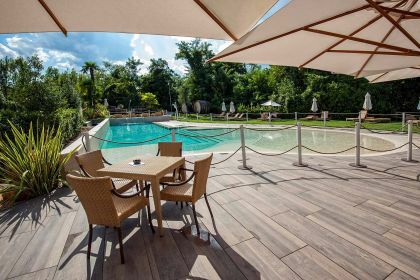 The hotel has a total of 108 rooms of varying types, all of which have parquet flooring; they are all comfortable and bright and are designed to offer guests a tranquil and relaxing stay. 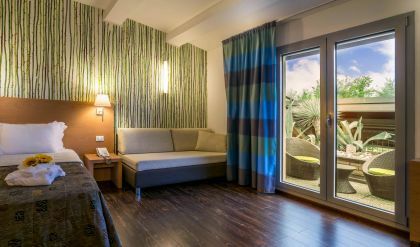 The Terrace Room rooms and junior suites are the most comfortable option and offer guests a spacious terrace with garden. 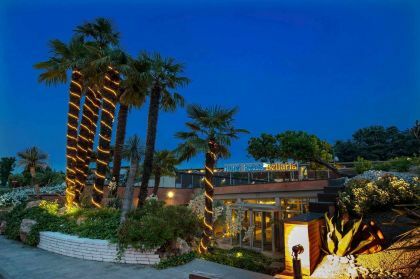 With its local and international dishes, the hotel’s Corbezzoli Restaurant will satisfy even the most sophisticated palate, serving all the latest trends and constantly renewing its menu with a firm focus on the origin, quality and seasonality of ingredients; gluten-free and vegetarian menus are also available. The conference centre consists in 3 meeting rooms, which are ideal for hosting conventions, congresses, receptions or exhibitions accommodating up to 300 people in a single room; all rooms offer the very latest audio-video technology, have natural lightening and overlook the lush gardens.